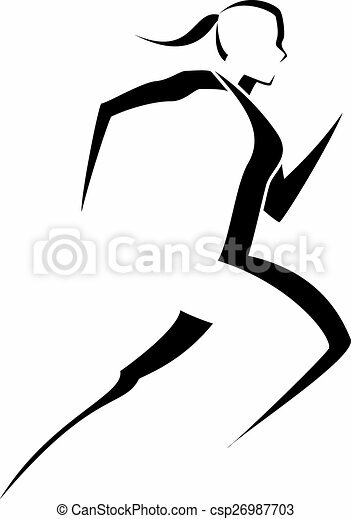 Stylized vector of a male runner. 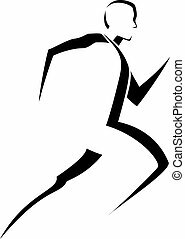 Stylized black and white design of a female walking. 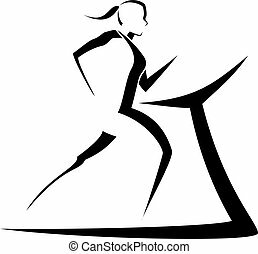 Stylized black and white design of a female running on a treadmill. 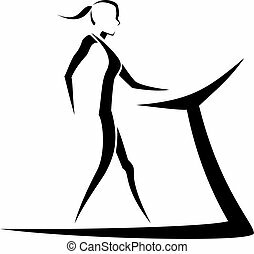 Stylized black and white design of a female walking on a treadmill. 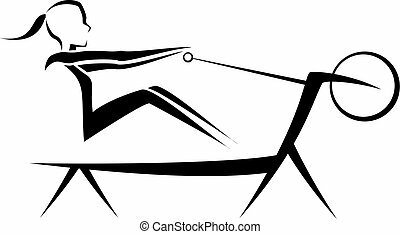 Stylized black and white design of a female rowing on a rowing machine. 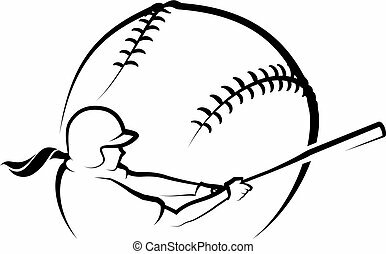 A stylized female softball batter swinging with stylized softball background. 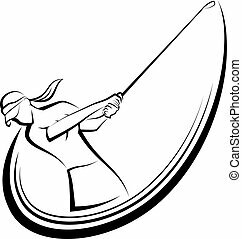 Illustration of a stylized girl golfer in mid-swing. 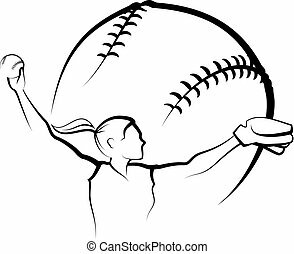 A stylized female softball pitcher with stylized softball background. Stylized line illustration of female long jumper in mid-air. 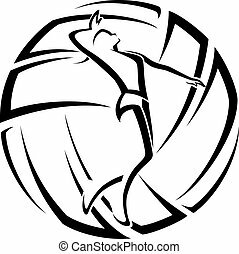 Illustration of a female volleyball player in front of stylized volleyball. 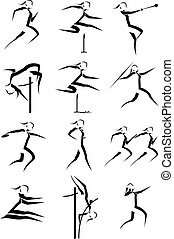 Stylized silhouettes of a female athlete for each event in track and field. 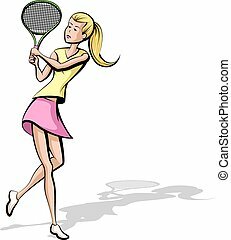 A stylized female tennis player. She has just hit a lob. 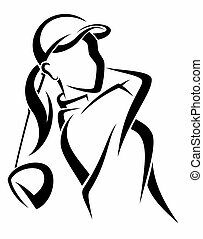 Girl softball pitcher in mid-pitch stylized.